A leather unisex surfer necklace with a yin yang charm. Necklace is sliding knot style so you can adjust it to any length you like. 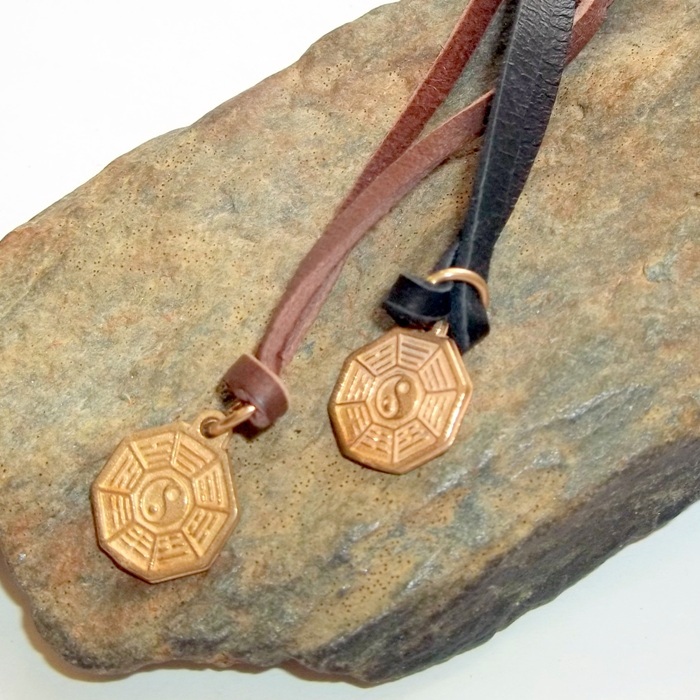 Yin yang charm is a brass hexagon with the same motif on both sides, 12 mm diameter. The necklace is available in superior quality buttery soft black or dark brown deerskin leather. Please choose your color when ordering.